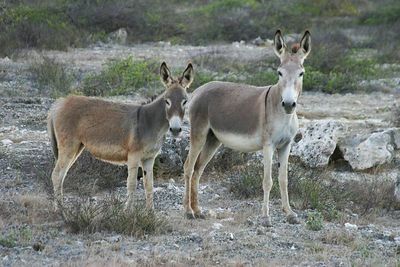 The Bonaire Reporter is urging Bonaire residents to water the donkeys and birds. We have not had measurable rain since last fall. As a result the donkeys and birds are dying. It only takes a few minutes and costs a few cents to put out buckets of water for the donkeys and pans of water for the birds. Be kind and save our wildlife. This entry was posted on March 19, 2010 at 11:38 am and is filed under Culture. You can follow any responses to this entry through the RSS 2.0 feed. You can leave a response, or trackback from your own site.